Vanessa Fernandez Arango died after an emergency C-section. HER battle with IVF inspired thousands and her heartwarming pregnancy journey brought her thousands of followers on social media but in a tragic twist, Vanessa Fernandez Arango died before she even got to hold her baby. 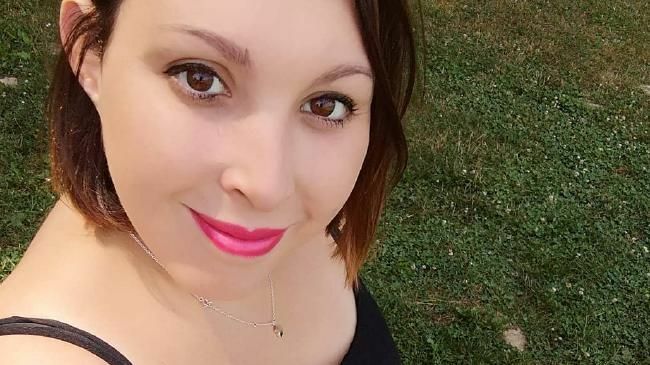 The popular Spanish blogger, who documented her entire IVF journey died in childbirth, as reported by KidSpot. Ms Fernandez Arango, 30, shared her and husband Jonathan Garcia, IVF journey on Instagram and thousands of people followed along. The couple shared pictures of ultrasounds and baby clothes as well as their past struggles with infertility. "The beginning of the end. The beginning of feeling life and the end of suffering," Vanessa wrote with a picture showing a positive pregnancy test back in May. "So here begins our story, our story with a happy ending." But tragically, it wasn't the happy ending they were hoping for. At 38 weeks the mum-to-be fainted while eating breakfast and was rushed to hospital. Doctors performed an emergency caesarean but Vanessa died after going into cardiac arrest. "This morning she was in pain while having breakfast and fainted," Jonathan, 32, wrote in a post on September 2 after his wife was taken to hospital. "They have taken us by ambulance to the hospital and there they had to do an emergency C-section. The baby is in very serious condition in the ICU and my wife has suffered a cardiac arrest that she could not overcome." He then posted a heartbreaking message on her Twitter account. "This is Vanessa's husband. They have carried out an emergency Caesarean. The baby is in intensive care. Vanessa has died. You will understand that this account will now close. Thank you all for making her laugh," he wrote. Their baby boy is now doing well and Jonathan has been keeping Instagram followers up to date with his progress as a single dad. "I can finally get something positive. Alvaro is recovering little by little, he still has many tests and will continue for a while in intensive care, but it's a little step," he wrote. "I never imagined a goodbye message in her honour would have led to such an avalanche of support… I want you to know I will continue with her dream of helping other couples."